This post is sponsored by Kraft. 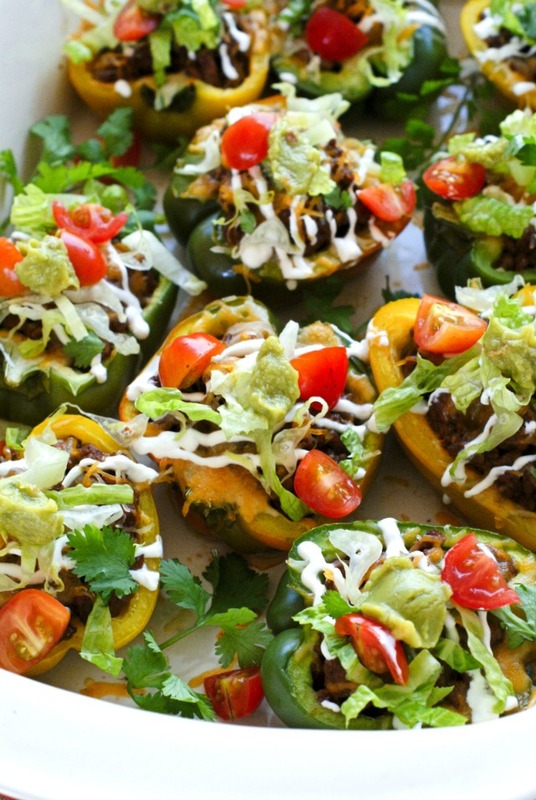 For an easy dinner recipe, make Turkey Taco Stuffed Peppers that are stuffed with turkey taco meat and topped with all of your favorite taco toppings. As much as I love, love, love the holiday season, I always kind of look forward packing up the garland and twinkle lights to make way for the new year. The new year is a time to refresh and focus on new plans, new ideas, and positive outlook. Not to mention the fact that it’s a great opportunity to get our eating habits back on track after all of that holiday cheer! And let me tell you, there was an ample amount of holiday cheer happening in my house, if you get what I’m saying. To help my family course-correct our eating in the new year, I like to focus on finding dinner ideas that are smart and well-portioned...easy recipes that don’t sacrifice taste! I absolutely adore Southwestern flavors, so I’ll often go that route to spice up lean meats and veggies at dinnertime. Some of my favorite Southwestern inspired dishes are taco soup, slow cooker chili, and chicken nachos. And you can’t forget good old tacos! I seriously think I could eat them every night! I will occasionally put a Southwestern spin on classic family favorites, too! That’s exactly what I did when I transformed simple stuffed peppers into bold Turkey Taco Stuffed Peppers. 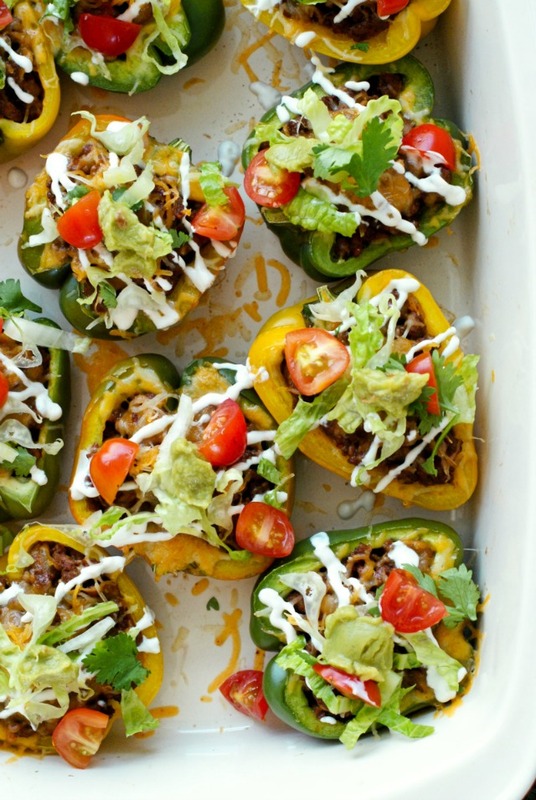 They are perfectly portioned in their little bell pepper cups and topped with classic taco toppings like shredded cheese, shredded lettuce, chopped tomatoes, cool sour cream, and a little scoop of guacamole. 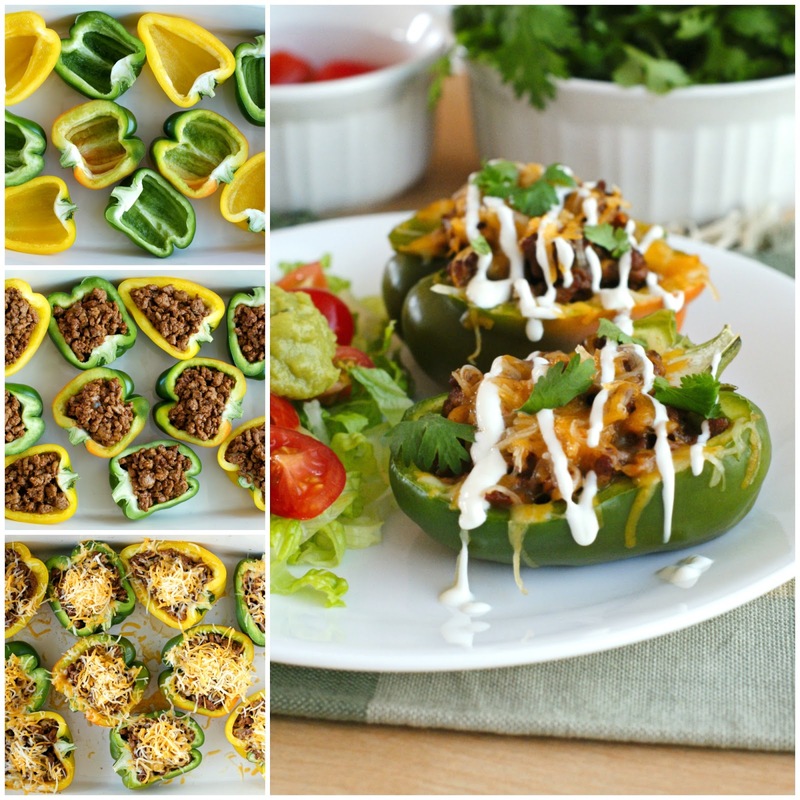 Turkey Taco Stuffed Peppers are perfect for my health-conscious meal plan and a recipe that I will continue to make all year long! 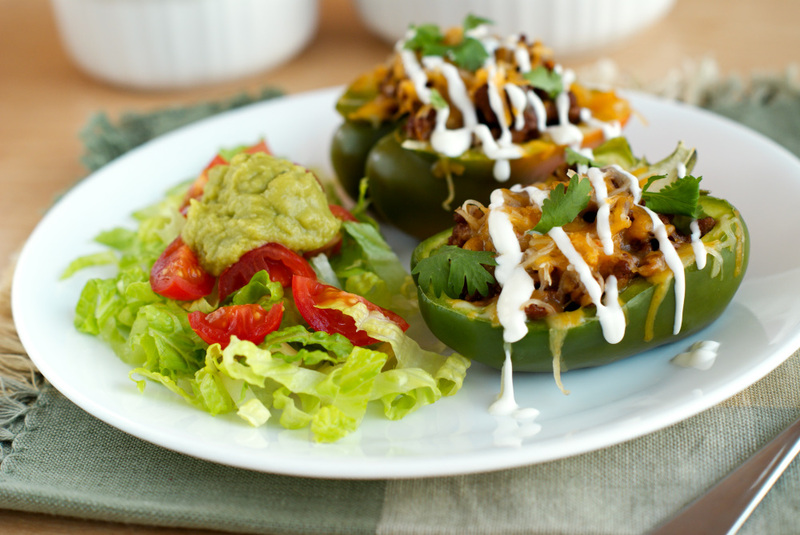 Click here for the full recipe: Turkey Taco Stuffed Peppers.